Sibling rivalry is as old as the two sons of Adam , Habeel and Qabeel. And we know the unfortunate way it ended. Allah tells about this common issue in great detail in surat Yusuf, chapter 12 of the Qur’an. Being a mother myself, I realized that – left unattended – these emotions can cause severe harm to our children as individuals and as siblings since they are family and Allah has put great emphasis on maintaining the ties of kinship. Sibling rivalry can be defined as competitiveness (sometimes tempered with animosity), between siblings for the attention, affection and approval of their parents. As Muslims we are told to look into the Holy Qur’an for solutions to our problems. In this article, you will find me drawing on the experiences of Yusuf and Yaqub for ideas on how to address this issue. After reading this article, I urge you to read Surah Yusuf and draw your own gems from it. Common Reasons: According to Kyla Boyse, University of Michigan, each child in a family competes to define who they are as individuals and want to show that they are separate from their siblings. They might have personality clashes because of their age or gender, or because they feel they are getting unequal amounts of attention from their parents. Sometimes, too much expectation for good behavior from the elder sibling is also a cause of rivalry. 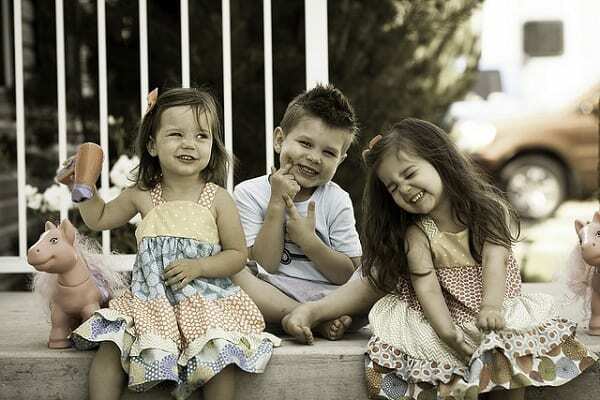 Situational Reasons: Birth order, age, and gender can also lead to sibling rivalry. Stress in the parents’ and children’s lives results in an increase in conflicts between them. Many a time it’s the birth of a new baby that gives rise to this emotion. The elder one feels neglected as the new baby apparently gets more attention and care. Psychological Reasons: Children fight more in families where there is no understanding of the concept that fighting is not an acceptable way of resolving conflicts. They see their parents fighting and being aggressive at home, while driving or while shopping. Dialogue, to an unknowing child, seems like a waste of time to resolve problems. 1. Self-check and change: Begin by doing a self check. Do we, as adults in the house, resolve our conflicts, big or small, by fighting? Do I exhibit patience or show impatience when disciplining the kids? These are important questions to ask oneself, especially as children model their parents. The first step towards resolving this issue is making dua to Allah for more patience and to start changing oneself. An exemplary incident for all of us to follow is the tremendous patience and restraint Yaqub showed when his sons came back with the shirt smeared with false blood claiming that Yusuf had been killed. 2. Stop comparing or typecasting children: Stop holding one child as a role model. Generally, we start it as a means of appreciating the older sibling and a means of providing the younger one with a guide map for good behavior. Unfortunately, it does more harm than good. Each child is an individual. For example, my 6-year-old who is left-handed, is clumsy when she tries eating food with her right hand, but my son at 3 was very neat! Yaqub never compared his children to one another. Though he realized that Yusuf was the one chosen to carry on the legacy of prophet-hood in the family, he did not make it a point of contention between the children. 3. Avoid favouritism: We are sometimes partial towards the child who is cuter or less naughty, more obedient or better in academics. Nevertheless, it is something disliked in our religion as the following hadith teaches us. The perceptiveness of a child to favouritism is best understood again from the example of the brothers of Yusuf . Yaqub was a Prophet of Allah , and has been presented to us as an ideal parent and yet his natural inclination to the obedient and loving child, however carefully hidden, was perceived by his other sons. Encourage teamwork: Group them in one team. And then, reward the team for cleaning up the room, helping with laundry etc. Reward them with something they both like. Plan fun activities together which they both enjoy. Let them resolve their own conflicts; do not intervene unless ‘Code Red’! Appreciate acts of kindness and care for each other and make them appreciate one another. 5. Make individual time: Plan special trips to the library or grocery shopping or just to grab muffins from the neighborhood bakery or enjoy a walk on a great evening. While one is away at school or engaged in other activities, do things with the other. Throw in lots of hugs and cuddles for good measure. 6. Universal rules in the household: If no one is allowed to eat in front of the TV, then do not break the rules by making the younger one eat while he is watching TV (a bad habit in any case)! 7. Keep tired or hungry kids away from each other! This way you can easily avoid situations that lead to fights. 8. Make punishments private: If any of the siblings needs to be disciplined for any reason, including for being aggressive with the other sibling, do not punish them in front of everyone, especially not in front of other siblings. The arrival of a new baby: Prepare the older child well in advance about the younger one’s arrival. Involve him or her in the preparations for the baby. You could, perhaps, read bedtime stories about siblings. Once the baby arrives, remember to focus on spending quality rather than quantity time with the older child. Aggressive elder sibling: If the older child is verbally or physically aggressive with the younger one, then it’s important to address his/her feelings. Talk it out. Help the older child make a list of all the negative feelings and possible causes for them. Go through the list together and try to resolve all issues, one by one. Are You The One With Rivalry Issues? Now, what if you are a sibling and harbour such thoughts, what should you do to let it go? Or you may think that your sibling is mean to you, taunting you and making life difficult for you in general. In both these situations, Yusuf gives us the best advice to follow. One of the reasons why Yaqub loved Yusuf dearly, was Yusuf’s manner towards him. From a tender age, Yusuf was always courteous towards his father, something we see manifest in the way he addresses his father with ‘ya abati’, and also when they met after years of separation, how he honored his parents by making them sit on his throne. What pleases parents most is a courteous and attentive child. And if it is your sibling who is being the mean one, then again Yusuf tells us to be patient and forgiving. Reflect upon this beautiful verse, which tells us how Yusuf forgave his brothers, never mentioned it to them and made dua for them: “He said, “No blame will there be upon you today. Allah will forgive you; and He is the most merciful of the merciful”” [Qur’an: Chapter 12, Verse 92]. Here’s how to see sibling rivalry as something positive! It teaches a child in the comforts and wisdom of his home not to be jealous of others. In life someone will always have something better, so a child learns to control these feelings and be satisfied. For parents, it is also a means of bonding emotionally to their children. In the end, I would like to conclude by saying that everything created by Allah has a good and an evil aspect to it. It takes faith, reliance on Allah and persistent effort to turn the evil into something good. If you’ve benefited in any way from the tips in this article, do share your own experiences from your lives and those around you on how to handle this very real and significant issue for the benefit of the rest of us. Tell us all about it in comments below!